Jose Mourinho said it would be a “miracle” for Manchester United to make it into the top four this season, but Ole Gunnar Solskjaer has got them there in seven weeks. United on 3-0 at Fulham on Saturday to leapfrog Chelsea into fourth place in the Premier League, albeit they will drop back to fifth if Chelsea avoid defeat at Manchester City on Sunday afternoon. Just two months after Mourinho said it would be almost a miracle if United were able to secure a Champions League place this season, Solskjaer continues to make an extraordinary case to be given the manager’s job on a full-time basis. When Solskjaer took over from Mourinho in December, United were sixth, 11 points off the top four. In eight Premier League games since they have picked up 25 points, winning eight and drawing one. Liverpool have picked up 20 points in the same period, while Manchester City have claimed 18. Tottenham also have 18 but from one game fewer going into Sunday’s home fixture against Leicester City. Arsenal have picked up 16 and been overtaken by United, while claimed 13 going into their game at City. United have scored 28 goals in those nine games, more than half the 52 they managed in the opening 17 rounds under Mourinho. It has not come at the cost of a more porous defence either, with just seven goals conceded. 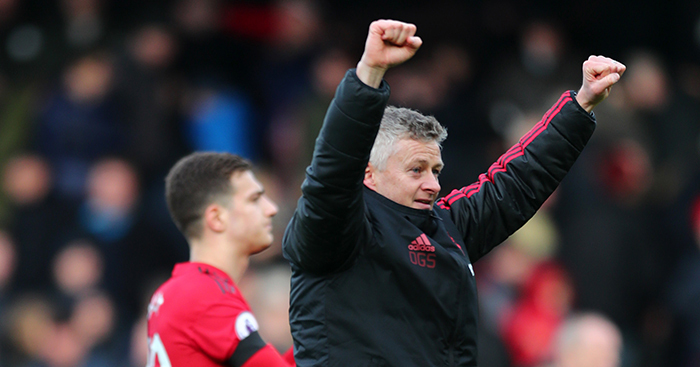 Solskjaer has undoubtedly benefited from a relatively kind set of fixtures – tougher tasks lie ahead with United’s next three games against PSG, Chelsea and Liverpool – but in leading the team to six consecutive wins away from home Solskjaer has achieved something last managed by Sir Alex Ferguson a decade ago in May 2009. The Norwegian has already beaten a club record by winning his first eight games in charge, while he equalled the Premier League record set by Carlo Ancelotti and Pep Guardiola with victories in his first six games in charge of United in the competition. United will have to win their next five Premier League away games, however, to equal the record run of 11 straight wins on the road currently jointly held by Chelsea (2008) and Manchester City (2017). Speaking before the win over Fulham, Solksjaer said United were two years off being able to challenge for the title but suggested much of the improvement needed could come from working with the current players rather than spending big on new ones. 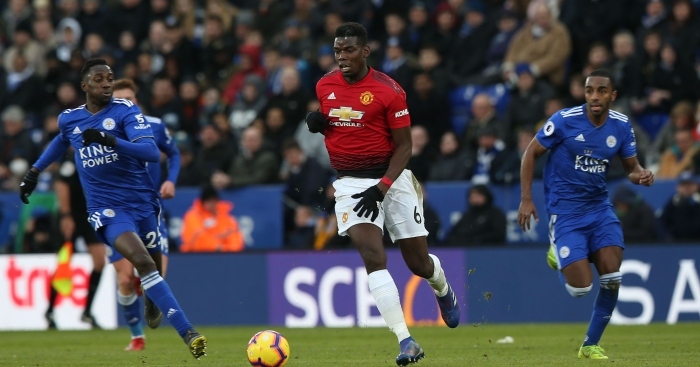 It is the improved performances Solskjaer has eked out from several players that has been one of the most impressive aspects of his reign so far, and there is no better example than Pogba. Incredibly, in his 10 games under the new boss, Pogba has only failed to score or set up a goal in two of them, in the away wins at Newcastle and Arsenal. In the other eight games, he has contributed a quite remarkable eight goals and five assists. The Frenchman has been directly involved in more Premier League goals than any other player since Solskjaer took charge. He has also now scored 10 goals in a single season for the first time in his career. Equally important to United’s resurgence – and indeed that of Pogba – has been Herrera alongside him in midfield. As per Statman Dave on Twitter, Herrera completed more passes (57) and made more ball recoveries (9) than any other United player in the win over Fulham in yet another dominating performance. Perhaps more importantly, Herrera continues to provide the sort of gamesmanship every good team needs. He is United’s king shithouse. 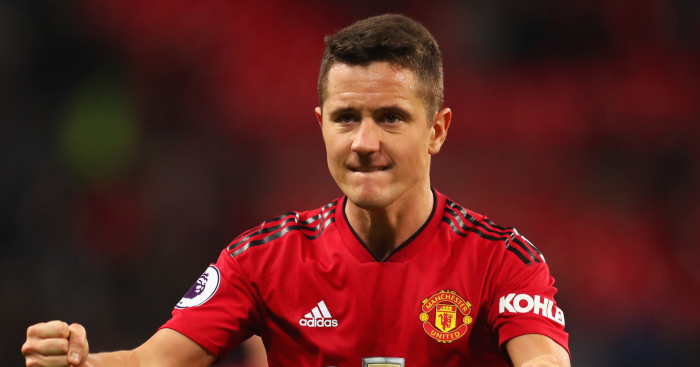 ‘Picture it: it’s the 80th minute against PSG; Ander Herrera runs to the touchline and Michael Carrick hands him a note: “Throttle the attack,” it reads. ‘“It’s for the good of the team,” Carrick whispers. Solskjaer made six changes for the win at Fulham, resting players ahead of Tuesday’s Champions League tie against Paris Saint-Germain. But he is getting the best out of not just 11 or 12 players but the entire squad. At Craven Cottage, Martial was restored to the team and responded with an assist for Pogba’s fine opening goal and then an even better strike himself for the second. It bore more than a slight resemblance to a goal Cristiano Ronaldo once scored for United at the same ground and was reminiscent of Thierry Henry in full flow, but it was also the 50th Premier League goal Martial has been directly involved in (33 goals, 17 assists) for the club. That is more than any other player since he signed. Having fallen out of favour under Mourinho, he is now once again a key part of the United attack. Can you name Man Utd’s top 30 goalscorers in Premier League history?